As fall begins, festival season is in full swing. There seemed to be no shortage of things to do in the area. During the last few weekends the county played host to Bluegrass in the Valley in Friendship, Ertels Cellars Wine Festival, and the Junkin’ Trail Extravaganza. 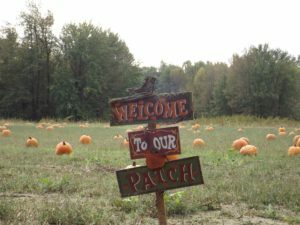 The Fear Factory in Batesville at RomWeber Marketplace and the Jacob Vogel Scare Haunted Woods in Olean/Versailles offer a chance to get spooked for the Halloween season. I found ample opportunities to pick out that perfect pumpkin. I found ample opportunities to select pumpkins, gourds, mums, and Indian corn this week throughout the county. Vogt Pumpkin Festival and Huffman’s Fall Farm Market have activities throughout the weekends in October including petting zoos, kid’s trackless train rides, wagon rides to pumpkin patches, corn mazes, and fire pits for roasting s’mores. Main Street Versailles Pumpkin Show parade float. check out the local farmers markets whenever you get the chance. You know you are getting the fresh food and are helping out the local farm economy. It can be a fun outing for the whole family and as a bonus — it gets you out and about for fresh air and to meet the people in your community! In cities where a backyard garden isn’t practical, going to the farmers market is a weekly must do first, and then they make a trip to the grocery store to supplement what they couldn’t get at the farmers market. How lucky are we to live in an area where we can grow our own veggies and have several local farmers markets? Quilting has long been a way for people to work toward a common goal. Similar to the quilting bees of yesteryear, the Hoosier Hills Comfort Quilts group gathers together for Quilts for Kids Sew Day at The Quilter’s Nook in Versailles. Completed quilts are given to patients at Riley Children’s Hospital. I had the chance to stop by The Quilter’s Nook and found out they will be marking their third anniversary this month with a special celebration October 20-22 with make and take projects, games food, and prizes. It’s a love ly neighborhood fabric store with all types of fabrics, patterns, threads, and tools for most sewing projects. Owner Chris Combs offers classes as well as individual instruction in quilting and all types of sewing. The Quilting Nook offers “Sit N Sew” several times a month when you can bring your own machine in and work on your projects. It’s nice to have a local business with supplies for all your quilting needs. This weekend they are collecting food for the South Ripley Food Bank – bring in a donation and get in a drawing for a special prize.